In order to gain more independence and allow a safer space for the elderly or persons with disabilities, home modifications such as ramps, door systems or handrails can be installed. At Orthopedic Service Company we offer our customers services in home modification in Chapel Hill, NC, helping them make their house much more accessible and safe, both for the person facing mobility issues and their caregivers. Our expert services include free, no obligation, in-home evaluation and assessment, as well as expert installation and user instruction. Home modifications are made in order to support independency and reduce the risk of injuries, not only to the person with impaired mobility but also for their caregivers. Given that most of the time spent caring is likely to be in the home, by installing home modifications in your Chapel Hill, NC house you’re allowing it to be a safer place for all. When a portable ramp isn’t enough to cover residential accessibility requirements, high-strength aluminum semi-permanent ramps provide safe access and quick installation. From folding and solid surface to threshold ramps, mats and plates, we offer convenient, lightweight and easy to use ramps for wheelchairs, scooters or powerchairs. Working with Transitions® threshold solutions, we offer our customers ramps, mats and plates for a smooth ground-to-sill transition over doorway thresholds throughout their home. 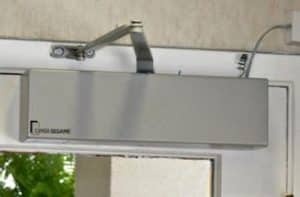 At the touch of a button, the Open Sesame automatic door opener allows complete independence to enter and exit a residential or commercial door, being able to operate with a variety of wheelchair mounted remote controls, wall push pads and more. Contact Orthopedic Service Company today to find out more about our services regarding home modifications in Chapel Hill, North Carolina.